The spot gold price followed many other commodities lower yesterday, with both spot silver and daily oil prices suffering during the day, and all ending the trading session sharply lower. 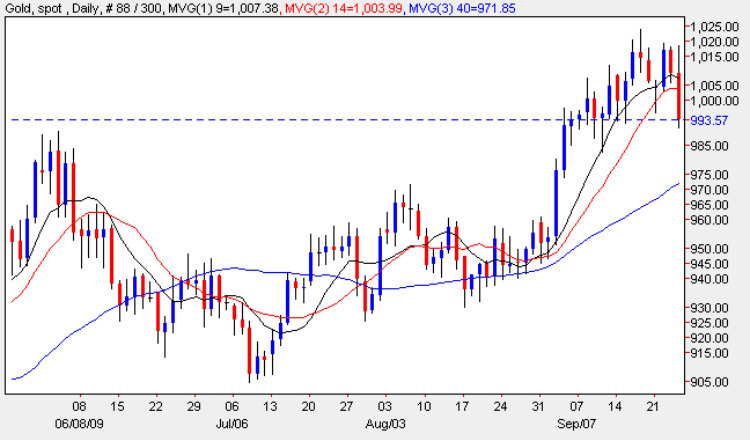 Spot gold in particular suggested that a further run higher was in prospect in early trading, but this was promptly extinguished as the US markets opened sending commodities falling and gold back below the $1000 per ounce level once again, and closing well below both the 9 day and 14 day moving averages. With today’s bearish price action, the key of course will be whether the spot gold price can find some support technically on the daily gold chart, of which the first level appears $992 per ounce price level. Whilst this is only a minor support level, it may provide a platform for the sell off to settle, and with plenty of clear water below to the 40 day moving average, there is nothing to suggest that this is anything other than a market correction driven by fundamental news events. 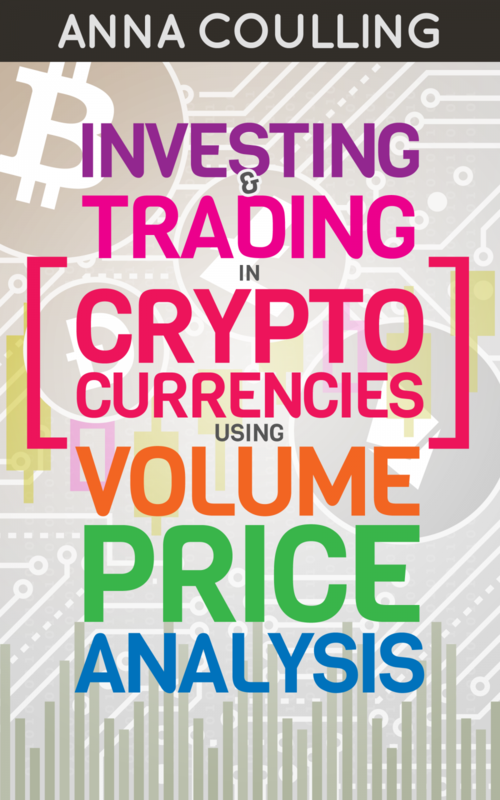 However, two points should be noted carefully as follows – first that the spot silver is technically bearish both on the daily and more particularly the weekly chart, and secondly we now seem to have some relatively strong resistance in place at the $1018 per ounce price level which will require some momentum to overcome. Whilst both these factors are important, my own view is that the underlying sentiment for the spot gold price market remains bullish and yesterday’s sell off in the commodities markets will no doubt reverse in the next few days as gold traders square their positions ahead of the weekend and the G20 meeting comes to a close with the ripples from the FOMC meeting a distant memory next week! The short term outlook for the spot gold price market is bearish, the medium term is sideways and the long term is bullish.